On Saturday February 6th, Josh and Caroline had DJ Forrest at Chandelier Grove to perform the music for the ceremony, reception, and uplights. 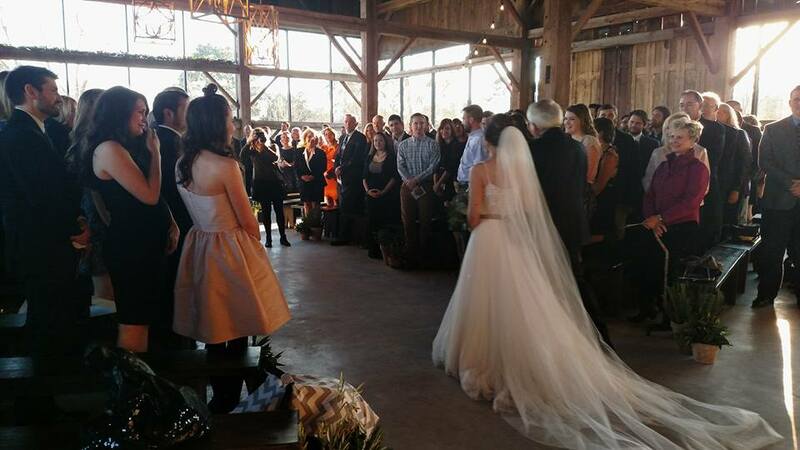 Even though is was our first time at this beautiful, newer venue in Tomball, we had the perfect affair with a beautiful ceremony featuring live performances from friends, along with her father officiating. After the ceremony, we moved into the barn and after a wonderful dinner service, the crowd danced all evening to a variety of songs, remixes, and oldies.